Net Tools is cutting-edge security and network monitoring software for the Internet and Local Area Networks, providing clients with the ability and confidence to meet the challenges of tomorrow's technology. Keeping pace with the industry trends, we offer professional tools that support the latest standards, protocols, software, and hardware for both wired and wireless networks. The main goal is the creation of high quality software. Net Tools is a very strong combination of network scanning, security, file, system, and administrator tools useful in diagnosing networks and monitoring your PC and PC's network connections for system administrators. Version 5.0.7 is a freeware program which does not have restrictions and it's free so it doesn't cost anything. 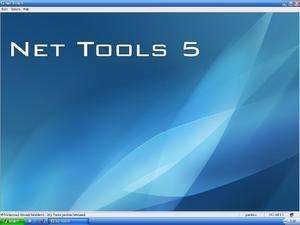 For security reasons, you should also check out the NetTools download at LO4D.com which includes virus and malware tests. Additional screenshots of this application download may be available, too.